Eat Halal: Euro-Fer Ferrous Fumerate Capsules Halal or Haram?? 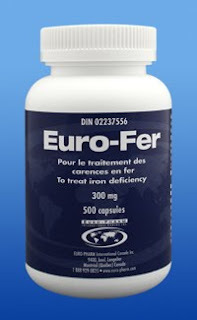 Euro-Fer Ferrous Fumerate Capsules Halal or Haram?? Just talked to the company (Euro Pharm) manufacturing these capsules and found out that they Contain Gelatin from Cattle skin hides. An alternative is to buy the other over the counter -top Iron supplements which are in tablet form, because the gelatin is used in the capsule .. not in the iron supplement itself.